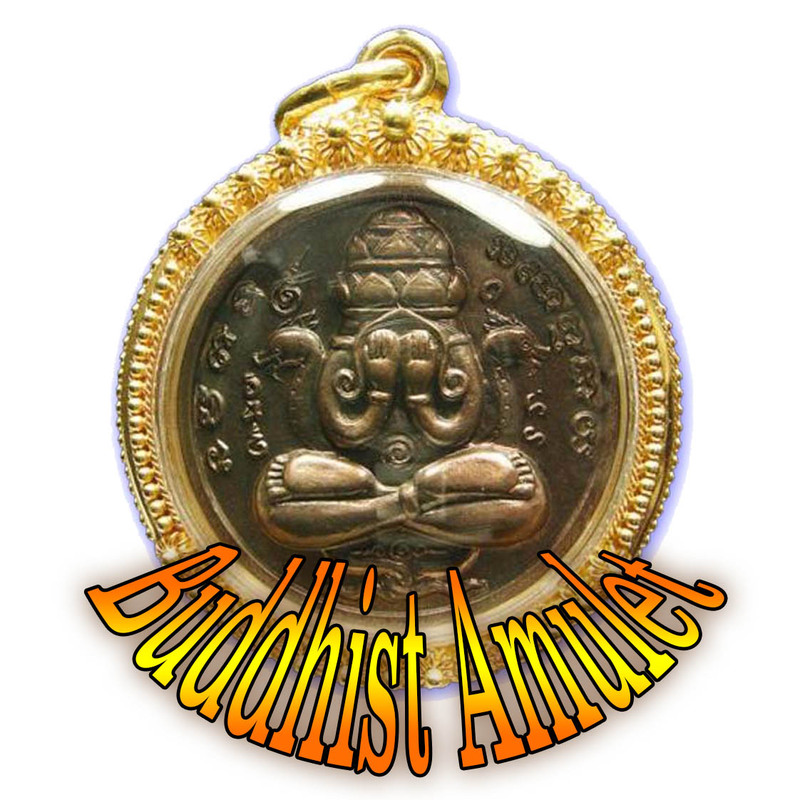 Ancient Amulet Classics amulet blog series presents The Pra Pim Pra Put Prajam Wan Hlang Yant Trinisinghae Birthday Buddha amulet for your study. 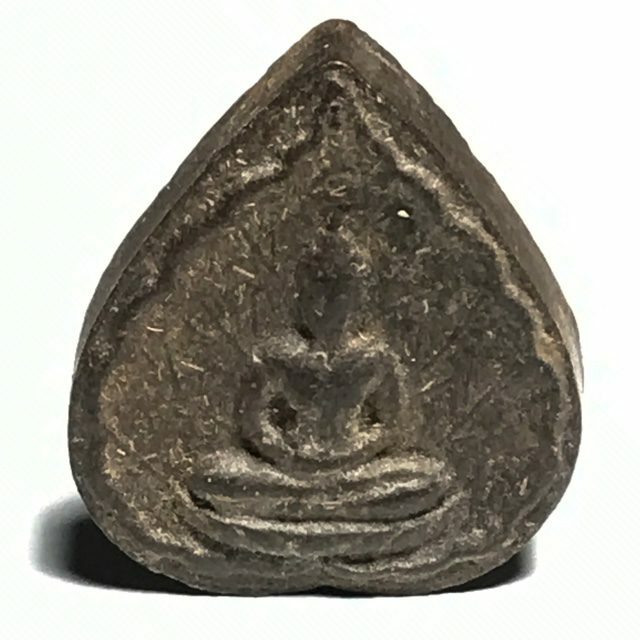 The Pra Pong Pim pra Prajam Wan Hlang Yant Trinisinghaem is one more sacred and rare Pim of the pantheon of amulets of Luang Phu To (Wat Pradoo Chimplee), which is very seldom seen, and was part of the 2521 – 2523 BE three year Traimas empowerment ceremony, which came to be Luang Phu To’s most famous blessing ceremony, and which spurned some of the most preferred classic Pra Niyom category amulets within the scene. 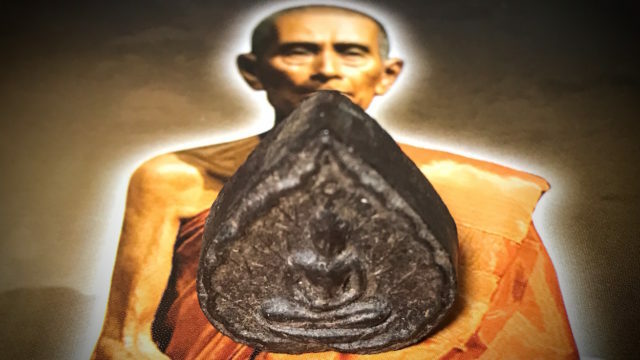 The Pra Pim Pra Put Prajam Wan amulet was created by Luang Phu To in the shape of a Bodhi Leaf, inspired by the time he went to India and meditated under the Bodhi tree where the Buddha is said to have become enlightened. 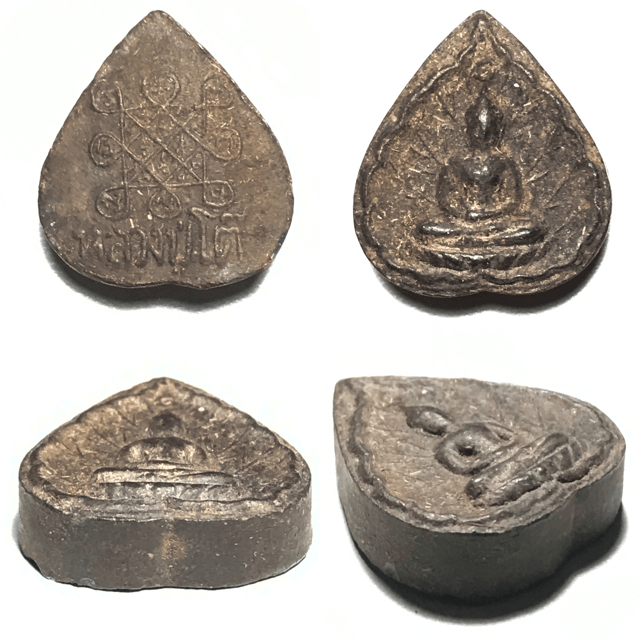 only 10,412 amulets were made in two different kinds of Muan Sarn Sacred Powders; Nuea Bailan, and Nuea Gesorn. 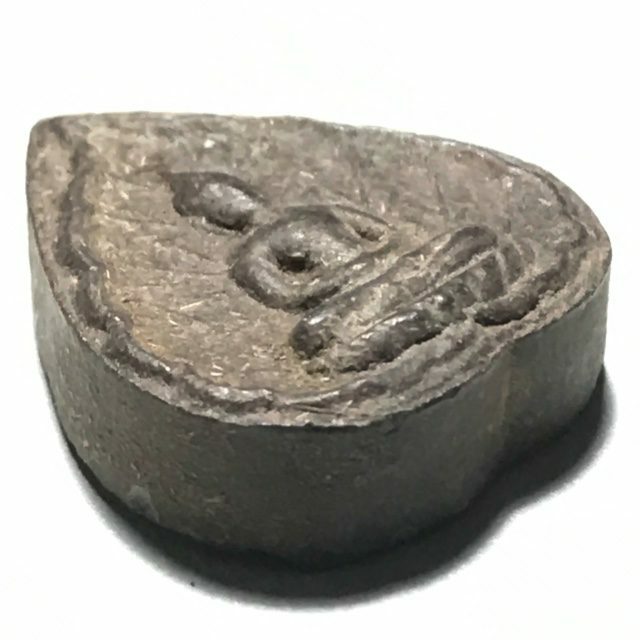 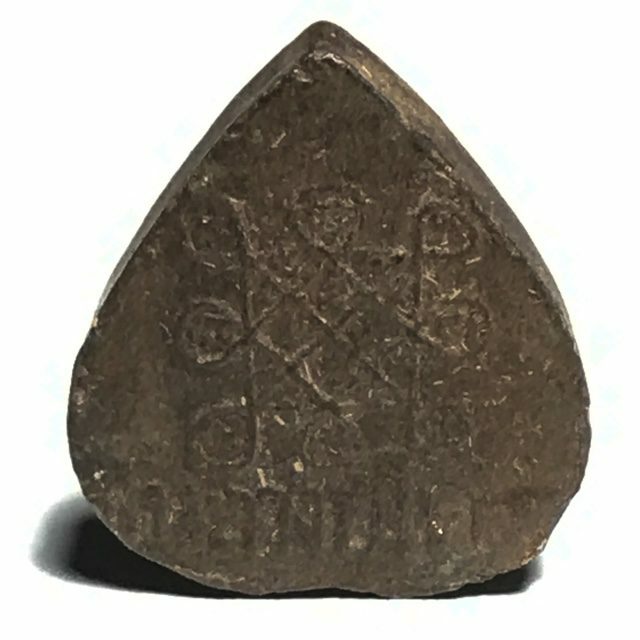 This amulet is shaped in the form of a Bodhi Leaf, and pressed from Black Bailan Powders, mixed with Gesorn Pollens, and has the image of a Buddha in Meditation on the front face (Thursday Buddha), with the sacred Yant Trinisinghae on the rear face, which is reputed to be one of the most powerful sacred Yantra spells in the Dtamra Yant 108. 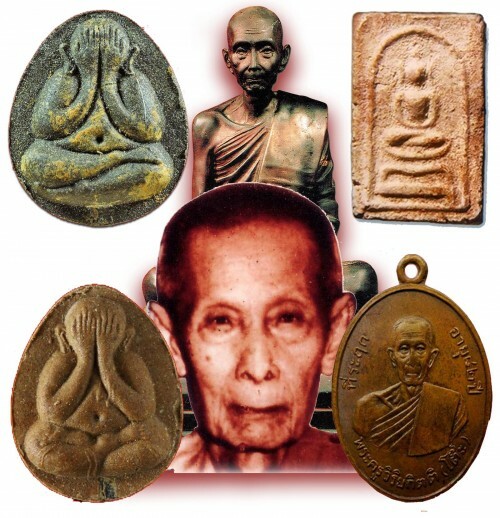 Luang Por To, of Wat Pradoo Chimplee, was a Master who gained the respect and reverence of the Royal Family, and especially his Majesty King Bhumipol Adulyadej (Rama 9), and whose attaimnents both in the academic field of Pariyatti and of the on hands practice of Patipatā, were exceptional. 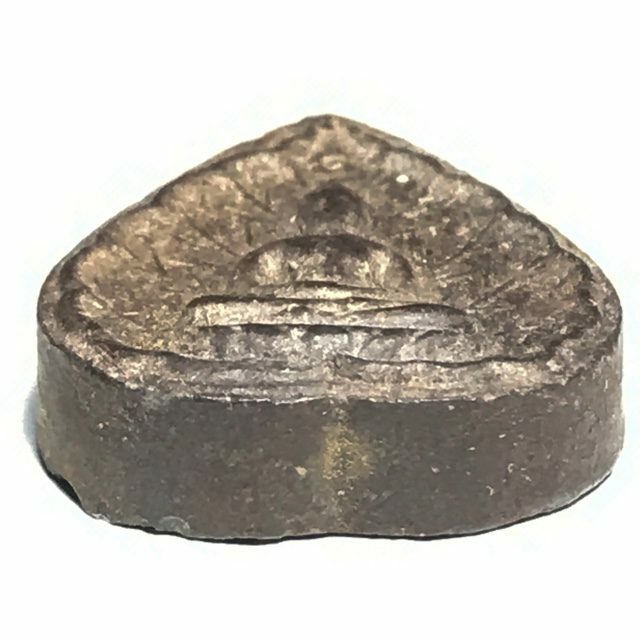 His powers and blessings were, and still are considered amongst the most powerful, along with the other greats such as Luang Phu Sukh ( Wat Pak Klong Makham Tao), Luang Por Vheun (Wat Mab Kha) Luang Por Parn (Wat Bang Nom Kho), Luang Phu Tim (Wat Laharn Rai), Luang Por Jong (Wat Na Tang Nork) and so many others.